Musician Mac Miller was found unresponsive in his Studio City home on Friday and was pronounced dead at 11:51 a.m. PT, the Los Angeles County Coroner’s Office confirmed to ABC News. 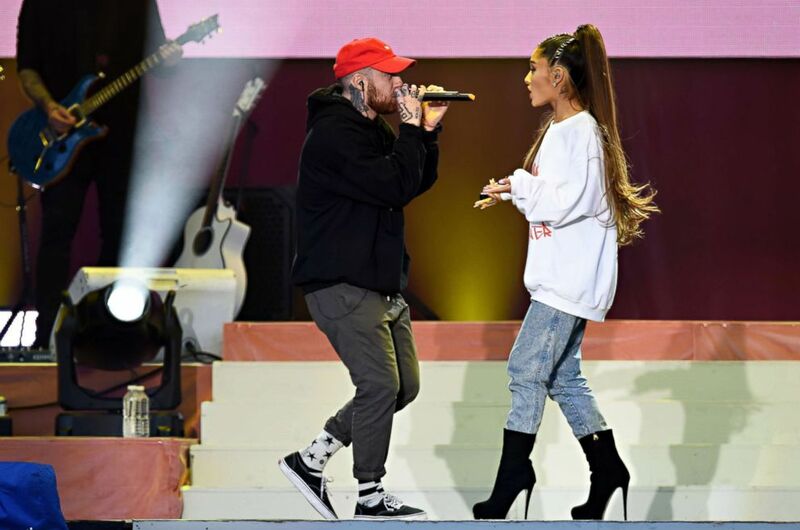 Mac Miller and Ariana Grande perform on stage, June 4, 2017, in Manchester, England for the "One Love Manchester" benefit concert. Miller, perhaps best known for his feature on Ariana Grande's top 10 hit "The Way," had just released his new album, "Swimming," last month; it debuted at #3 on the Billboard album chart. Miller dated Grande from 2016 to 2018, and provided emotional support after the 2017 Manchester bombing. He also performed with her at her One Love Manchester benefit concert later that year. After they split in May, he wrecked his car and was later arrested for DUI and hit-and-run. He was due in court on that charge next week. In the past, he'd struggled with an addiction to the cough syrup mixture known as "lean." Born in Pittsburgh, Miller got his first record deal in 2010. Having already gained a following via mixtapes, touring and singles like "Donald Trump," his debut, "Blue Slide Park," released in 2011, entered the Billboard album chart at #1. Starting in 2013, he starred in his own MTV2 reality series, "Mac Miller and the Most Dope Family," which ran for two seasons. He continued releasing successful albums and mixtapes and in 2014, he signed with Warner Bros. In addition to guesting on "The Way," he also appeared on tracks and collaborated with artists including Cobra Starship, Cee Lo Green, Anderson.Paak and Juicy J.
Miller was also a successful producer who occasionally used the name Larry Fisherman. He worked on his own records, as well as releases by Vince Staples, SZA and Riff Raff, among others. Upon hearing the news, Chance the Rapper tweeted, "I dont know what to say Mac Miller took me on my second tour ever. But beyond helping me launch my career he was one of the sweetest guys I ever knew. Great man. I loved him for real. Im completely broken. God bless him." His good friend and fellow Pittsburgh rapper Wiz Khalifa tweeted, "Praying for Mac’s family and that he rest easy."